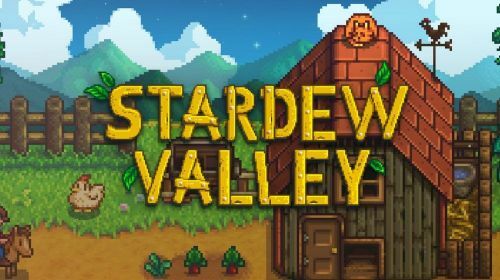 Stardew Valley is a farming simulator RPG that was released back in 2016. This gem of a game by Eric "ConcernedApe" Barone was one of the best releases to come out that year, garnering high scores from the likes of IGN, Polygon, PC Gamer, and Giant Bomb. Not only were critics praising Stardew Valley, but gamers have created a unique community around it. Fans were so happy with Barone's project that they offered to help buy copies to give to those who could not afford it just so more people could experience it. What drew players to Stardew Valley was the sense of purpose and fulfilment after completing basic tasks. Watering your crops, fishing, or just chatting with your neighbours made you feel good like you had accomplished something important. After the game's release, Barone received quite a lot of praise from big names in the industry, including the creator of Harvest Moon, Yasuhiro Wada. Forbes even named him one of their "30 Under 30" persons to watch in the gaming industry in 2017. With the success of Stardew Valley, along with the following Barone gained as a result, it seems he's decided to move on from the game's original publisher Chucklefish, in order to publish the game himself going forward. The indie developer will be officially self-publishing the game come December 14th. He'll cover all platforms except mobile devices and the Switch. In his statement, Barone thanked Chucklefish for their assistance but said that he felt he could move forward on his own. When I first released Stardew Valley, I was a complete novice to the video game industry. Chucklefish, as my publisher, oversaw that distribution, console ports, and translations of the game. And of course, Tom Coxon did amazing work adding network code to the game, making multiplayer a reality. But I'm at the point now where I'm ready to move forward on my own. I think self-publishing is the end-goal of most indie developers, and I'm happy to be in a place where that's possible! Chucklefish also released a statement, stating that, while Baron is parting ways with them, there is no ill will between the two parties, and they'll continue to work together in the future as mobile and Nintendo Switch versions of the game are produced. This is a huge move for Barone, who is working to stay as independent as possible. His hard work and dedication to Stardew Valley showed just how an indie developer can make their way in the gaming world. He recently revealed that he was working on a "secret" game earlier in the year, and we can hopefully expect to hear an announcement in regards to that project soon. Get the latest Video Game News at Sportskeeda. From Software News: Dark Souls/ Bloodborne Developer have two unannounced projects.